Your San Antonio Dentist offers Dentures at Windcrest Cosmetic Dentistry! For patients experiencing tooth loss, complete or partial dentures are available to restore the function and aesthetic of teeth. In his San Antonio dental office, Dr. Craig Wright and Dr. De la Garza create and place dentures for patients looking to regain their quality of life in a smile they deserve. A denture is a removable prosthetic used to replace multiple or all missing teeth. Modern dental technology has created appliances that fit according to jawbone structure and therefore feel more comfortable than ever. Complete dentures fully cover either the upper or lower dental arch. A complete denture is beneficial for patients with total tooth loss and is designed to seamlessly match the color of your gums. Immediate dentures are used once all remaining natural teeth have been removed. They are placed while the complete denture is being crafted so that the patient may have functioning teeth in the meantime. Partial dentures replace multiple missing teeth while still allowing natural teeth to show. The denture rests on a metal framework and uses the natural teeth as an anchor for stability. Implant-supported dentures involve a complete denture that is attached to the jaw using dental implants. The dentures are still removable, but provide more stability than their traditional counterparts. Depending on the amount of teeth missing, as well as the density of the jaw bone, Dr. Wright or Dr. De la Garza will determine which denture is the most beneficial. 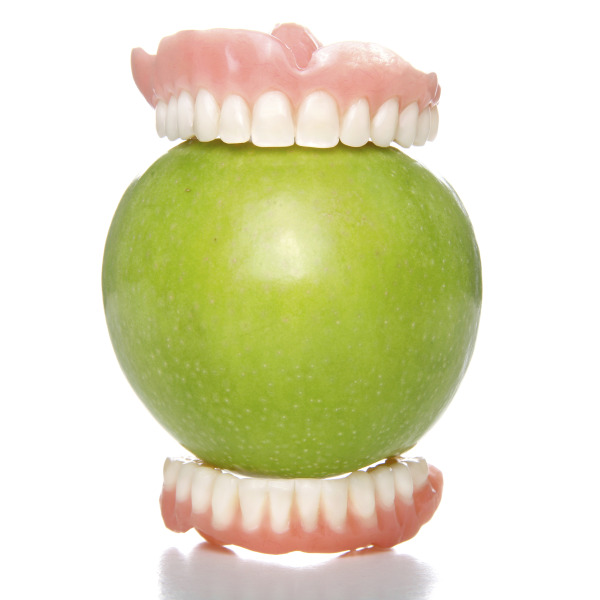 No matter the type of denture you receive, each appliance is custom made from impressions taken of your mouth. This ensures the best possible fit. Your denture consultation will begin with an evaluation, where impressions are taken of your mouth and – for complete dentures – any remaining teeth removed. While your denture is being created, you will be issued a temporary set of dentures until your personal set are complete. Once your dentures have been placed, you will be given proper care instructions to ensure the longevity of your new teeth. You may experience some discomfort as you get used to your new dentures. Excessive saliva flow, soreness of the mouth, and feeling as if your tongue has inadequate space are common and take some getting used to. After the first few weeks of wearing your dentures, they will begin to feel more natural and comfortable. If you are ready to gain a new and improved set of teeth, then dentures may be an option for you. For more information about dentures in San Antonio or to schedule an appointment, call Dr. Craig Wright and Dr. De la Garza today!